Lee Enterprises, Incorporated (NYSE: LEE) rose 37.5 percent to $3.30 in pre-market trading following news that it will manage Berkshire Hathaway’s newspaper and digital operations in 30 markets. Achieve Life Sciences, Inc. (NASDAQ: ACHV) shares rose 29 percent to $4.90 in pre-market trading after the company reported positive cytisine data demonstrating no clinically significant drug-drug interaction. Ability Inc. (NASDAQ: ABIL) rose 17.9 percent to $11.79 in pre-market trading after climbing 98.41 percent on Monday. Spectrum Pharmaceuticals, Inc. (NASDAQ: SPPI) shares rose 16 percent to $22.00 in pre-market trading as Bloomberg reported that the company has received a takeover interest and is weighing a potential sale. Foresight Autonomous Holdings Ltd. (NASDAQ: FRSX) rose 13.4 percent to $3.89 in pre-market trading. Foresight signed a MoU with a leading car importer in Israel for first sales of Eyes-On system. Arcos Dorados Holdings Inc. (NYSE: ARCO) rose 12.5 percent to $8.10 in pre-market trading. Lennar Corporation (NYSE: LEN) shares rose 9 percent to $53.65 in pre-market trading after the company reported better-than-expected results for its fiscal second quarter. Genprex, Inc. (NASDAQ: GNPX) rose 8.2 percent to $8.36 in pre-market trading after falling 5.33 percent on Monday. Agenus Inc. (NASDAQ: AGEN) rose 6.5 percent to $2.46 in pre-market trading after falling 4.94 percent on Monday. Exelixis, Inc. (NASDAQ: EXEL) shares rose 5.7 percent to $20.65 in pre-market trading. Exelixis will replace Copart in the S&P MidCap 400 on Monday, July 2. Tocagen Inc. (NASDAQ: TOCA) shares rose 5.5 percent to $9.00 in pre-market trading after dropping 3.40 percent on Monday. Catalyst Biosciences, Inc. (NASDAQ: CBIO) shares rose 5.1 percent to $11.40 in pre-market trading after climbing 3.14 percent on Monday. Cidara Therapeutics, Inc. (NASDAQ: CDTX) rose 4.8 percent to $5.45 in pre-market trading. after declining 2.80 percent on Friday. Progenics Pharmaceuticals, Inc. (NASDAQ: PGNX) rose 4.6 percent to $8.50 in pre-market trading after declining 4.24 percent on Monday. 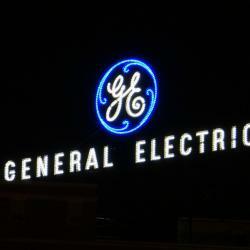 General Electric Company (NYSE: GE) rose 4 percent to $13.26 in pre-market trading. GE is planning to fully separate Baker Hughes, a GE Company along with GE Healthcare, Reuters reported. Micron Technology, Inc. (NASDAQ: MU) rose 2.8 percent to $54.64 in pre-market trading. UBS upgrades Micron from Sell to Neutral. Xenetic Biosciences, Inc. (NASDAQ: XBIO) shares fell 21.2 percent to $4.53 in pre-market trading after climbing 103.90 percent on Monday. JinkoSolar Holding Co., Ltd. (NYSE: JKS) fell 10.8 percent to $12.50 in the pre-market trading session following Q1 results. JinkoSolar reported Q1 earnings of $573,000 on revenue of $728.1 million. Yulong Eco-Materials Limited (NASDAQ: YECO) fell 10.7 percent to $3.50 in pre-market trading after rising 33.79 percent on Monday. Gevo, Inc. (NASDAQ: GEVO) fell 7.8 percent to $9.20 in pre-market trading following announcement of $8 million at-the-market common stock offering. Senseonics Holdings Inc (NYSE: SENS) shares fell 7.5 percent to $4.31 in pre-market trading. Senseonics priced its common stock offering at gross proceeds of $130 million. Renren Inc. (NYSE: RENN) fell 7.4 percent to $2.26 in pre-market trading. Heron Therapeutics Inc (NASDAQ: HRTX) shares fell 4.5 percent to $39.60 in pre-market trading after announcing a $200 million common stock offering. Frontline Ltd. (NYSE: FRO) shares fell 4.1 percent to $5.96 in pre-market trading after dropping 2.36 percent on Monday. PolarityTE, Inc. (NASDAQ: COOL) fell 3 percent to $27.32 in pre-market trading after dropping 27.34 percent on Monday.